During the evolution of many civilizations the world over, people have played many different roles in their societies, or in other words, have had various jobs to do, in accordance to the requirements of the time they were alive in. Whether forced or willingly, almost every person in history was employed. According to the statistics provided by the EU recently, 26.2 million people around the world were unemployed in 2014. This is a big number, but it is only 0.3% of the entire global population. Jobs change daily, mostly due to technological development and many job positions have been lost, and undoubtedly, many new ones will emerge in the future. Although there are some strange and weird jobs in the world today, they are nothing compared to some of the professions which now no longer exist. Elisha Otis demonstrating his safety system, Crystal Palace, 1853. Some 35 years ago, telecommunications were far less developed than today, so long distance calls were manually connected. These connections were made by so-called switchboard operators, a job position mostly done by women, and lost due to digitalisation. What’s more, in the 1970’s, a job existed which required the floating and guiding of logs down the rivers, from the place they were cut to the processing sites. This profession was called log driving, and log drivers were later replaced by technology and transport infrastructure. 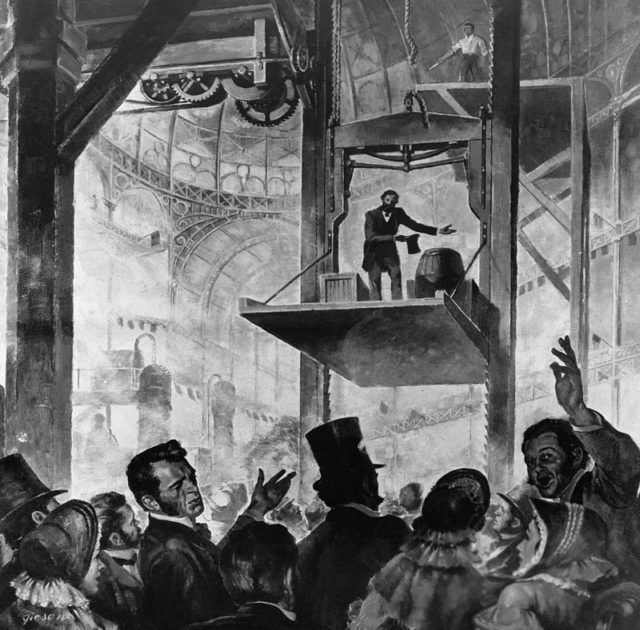 At the same time, elevators were run by elevator operators, another long lost profession. These men were trained to use levers and machinery in order to run the elevators, and are today without a job, also due to technological development. In the 1960’s, 10 years prior to this, when food quality standards were created, people were employed to taste the food before it went public, all in order to ensure it was safe for consumption. 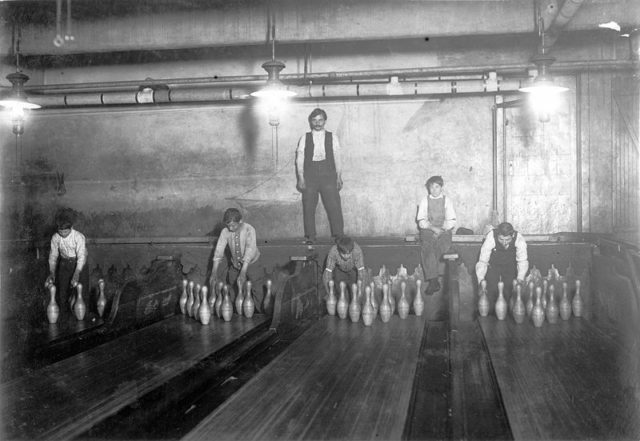 April 1910, 1:00 A.M. Pin boys working in Subway Bowling Alleys, 65 South St., Brooklyn, New York, Lewis Hine photo. Earlier in the 20th century, in the 1940’s, bowling alleys were operated by young boys called pinsetters, who were employed to set up the pins for the bowlers. Today, the bowling alleys use automatic mechanisms to do the pinsetter’s job. In the same manual fashion, tracks for railroads were laid by men, also a profession lost due to the advancement of machinery. In the 1930’s, before radars existed, their job was done by “listeners”, people who used listening devices to identify the sounds of approaching airplanes. In the 1920’s, there was an extremely dangerous profession called ice cutting. These people were sawing up ice from frozen lakes, which was later used for food preservation. A much safer profession from the same time was that of the newspaper reader or what was sometimes referred to as the factory workers entertainer. These people would read to the workers doing manual jobs, and entertain them while doing their daily tasks. 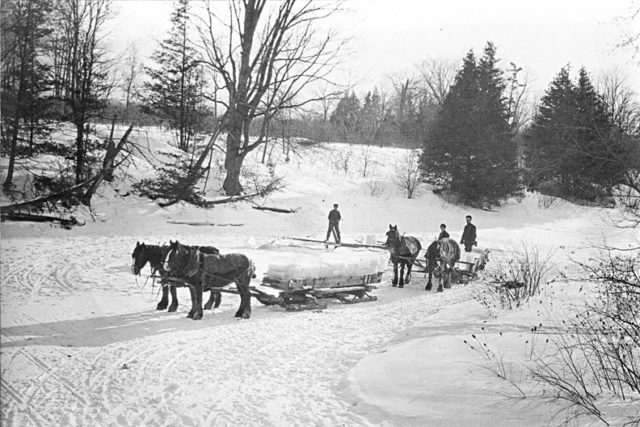 Icecutters in Toronto, Ontario, Canada, 1890s. 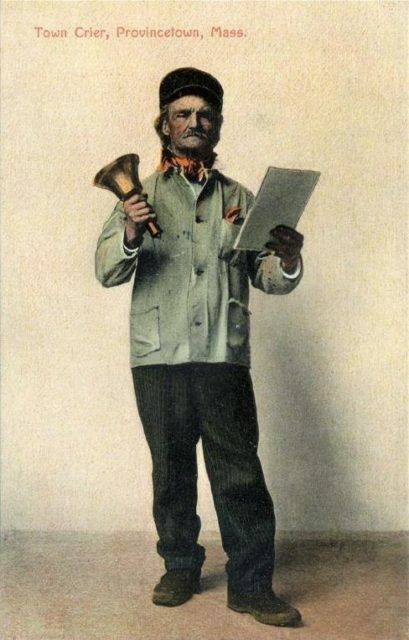 Town crier of Provincetown, Massachusetts, in 1909. 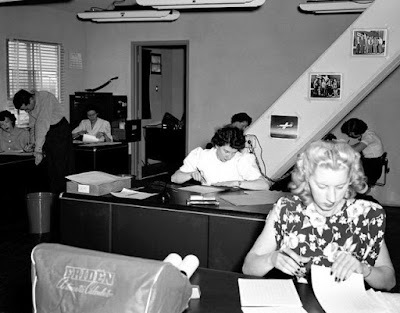 NACA High Speed Flight Station “Computer Room” (1949). The very beginning of the 20th century also had some weird jobs as well. 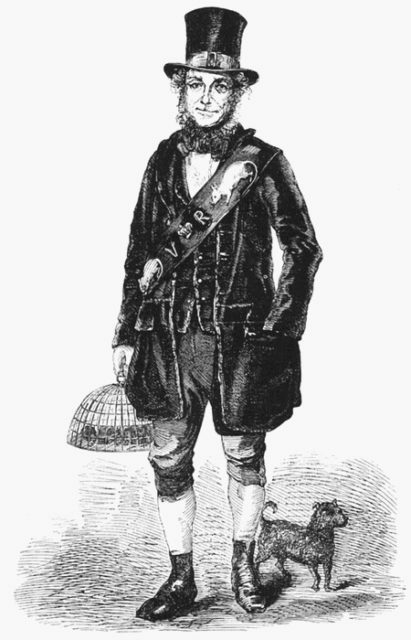 For instance, people were employed as rat catchers, responsible for controlling the rat population in Europe. These men often suffered from infections, so it’s a good thing this profession no longer exists. Two safer professions from the same period include the town crier and the human-computer. 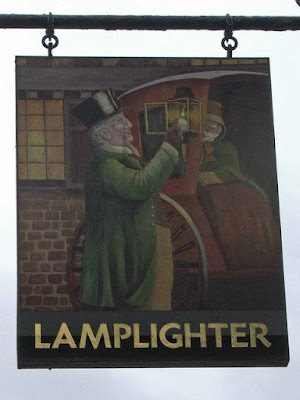 The first one was responsible for spreading the important news around town before tv, radio, and internet existed. 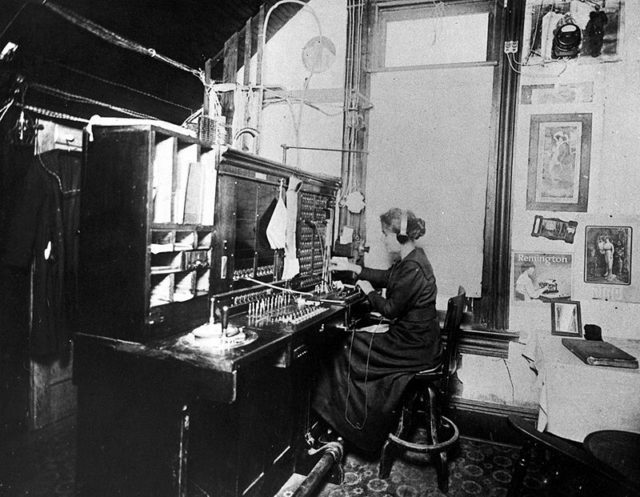 The second one involved employing young women to do calculations and computations for those in need of them, this being long before computers existed. Some 20 years before that, in the 1800’s, people were hired to serve as human alarm clocks. These people would go around the city and make sure their clients would wake up on time. They used sticks and clubs to knock on people’s windows and doors and these eventually got replaced by alarm clocks. At the same time, young boys were employed to sweep chimneys, but this stopped after a little boy died from suffocation down a chimney. This was a period without electricity, so lamps on the streets were lit by men whose job was to go around the city and start the lights with long torches. A jar for keeping medicinal leeches. 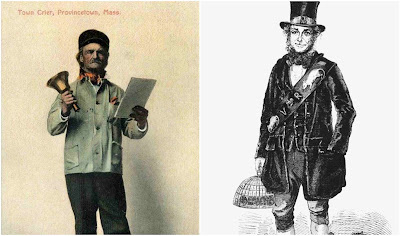 At the beginning of the 19th century, two weird professions existed: there were leech collectors, people who would go into the rivers with bare legs and attract leeches. 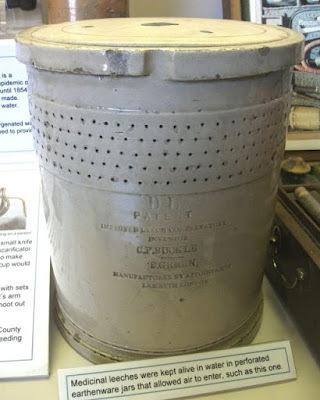 These bloodsuckers would be later sold to the doctors who used them as cures for various diseases. Weird as it sounds, there was an even more bizarre profession in this period: the resurrectionist. This profession was illegal, and it involved digging up cadavers from graves and selling the bodies to universities for examination.Some of these professions sound creepy, some sound nice, however, none of them exist today, mostly for reasons of development. 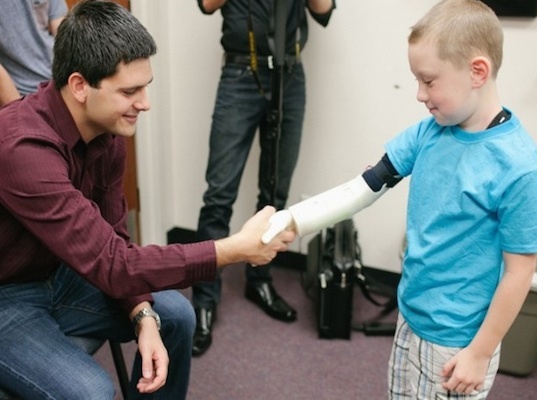 Today, we still have bizarre and risky jobs, but machines are replacing many of them, and we can only guess what kind of weird jobs people will do in the future.